Finally: A simple, easy, straightforward system guaranteed to make you a better parent. No bull -just facts- to help you raise self-confident, happy, healthy kids. When you buy a new computer, car or camera, it comes with a detailed instruction manual. There is no guesswork required; you’re told exactly what to do. But when you bring a child home from the hospital - and prepare for raising him or her, which is undoubtedly one of the most important tasks of your life - you’re pretty much on your own. If you’re like so many of the parents I talk to, raising your children into happy, confident, productive adults is your Number One goal. And, 20 or 30 years from now, the LAST thing you want is to look back and regret that you didn’t spend enough time with your children, or didn’t do a good enough job raising them. You don’t have to ever have to again. Finally, there IS an instruction manual for raising kids - and I’ve created it based on my years of research into what makes parents successful, as well as my own experience raising 4 children who have grown into successful, happy adults. Ultimately, your children want to make you happy, and with the methods I share in this program, you learn exactly how to guide them in doing so through mutual respect, solid boundaries, and strong self-esteem and self-confidence. My wife and I were constantly fighting because our kids were out of control. They were talking back and always causing trouble. Now, the whole family is getting along and my kids are doing great in school. This program is worth every penny! You and your children have more fun together, with fewer arguments and less fighting - quality time feels like quality time! Your daily routine becomes easier than ever because your children actually listen to you, the first time, when you ask them to do something. Every day, you and your kids develop a stronger bond, a better understanding, and mutual respect. You know how to earn your children’s respect when it comes to discipline - rather than feeling like you have to bully them into behaving. You actually ENJOY and look forward to your time with your kids. 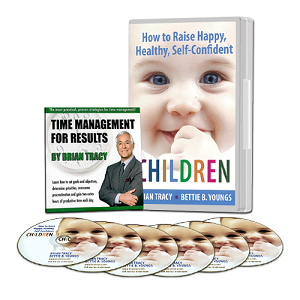 “Time Management For Results,” my best-selling audio program, absolutely FREE. 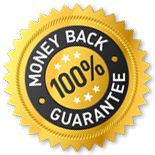 If for any reason, you aren’t completely thrilled and satisfied with your purchase, just contact my customer support team within 1 year and I’ll cheerfully refund your purchase. Grab your copy of How to Raise Happy, Healthy, Self-Confident Children, here! I applied what I learned from How to Raise Happy, Healthy, Self-Confident Children and was amazed! My children reacted very positively and we had a great day together. If you want to raise super kids, order my proven program today 100% risk free! It's never too late to become a Super Parent who raises Super Kids! Look forward to your life ten years from now as a proud parent. See your kids succeed. Imagine how good it will feel for both of you. My wife and I first purchased this outstanding program 17 years ago. I can say with great confidence that it is worth every penny. As we know, children do not come with instruction books on how to successfully raise them and in today's society it's becoming more diffucult to raise children. This program taps into the practical and professional experience of 2 individuals who have dedicated time to research and think through methods on how to raise children successfully. As a parent, you will have done an outstanding job if you can raise happy, healthy self-confident children. The rest is up to them. I have this CD Set, for over five years now and I have heard this audio program more than 100 times and I still benefit from it. I am a child psychologist by profession and this CD set has not only helped me become a good parent, but it has also helped me to guide several other parents. I think it is a must have for every parent! My Family Dynamic is Amazing Now! Brian – You're a life-saver! My home life is awesome now. My wife and I were constantly fighting because our kids were out of control. They were talking back and always causing trouble. We didn't know how to fix the problem. Now the whole family is getting along and my kids are doing great in school. It's worth every penny!